GLS panels have 13 gauge verticals (legs). This is important because the connecting hardware is located on the panel verticals. GLS panels are built with extra stiffeners. 10’ and 12’ crowding panels receive (3) stiffeners. Portable panels receive (2) stiffeners. All GLS panels are 6' tall. GLS offers a 7-rail panel for heavy crowding applications. The 7-rail panel is referred to as “calf-tite”. 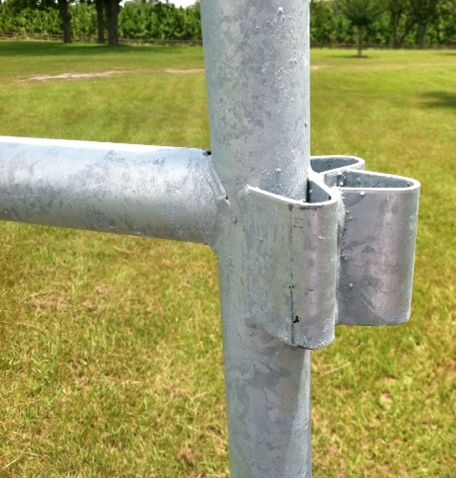 The extra rail is positioned 6” off the ground to prevent animals from putting heads under components. GLS bow gates are constructed with 13 gauge doubled frames. The heavy duty frame GLS uses for bow gates enables us to build standard bow gates as wide as 14’. 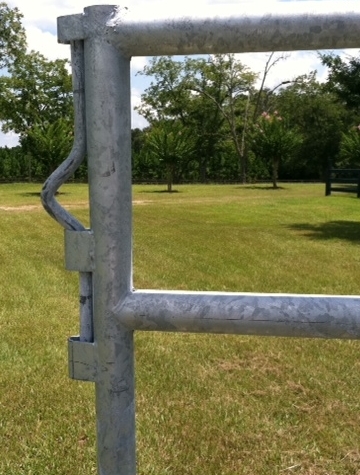 All bow gates are equipped with slam latches and strikers. Standard bow gate frame heights are 90” and 112”.